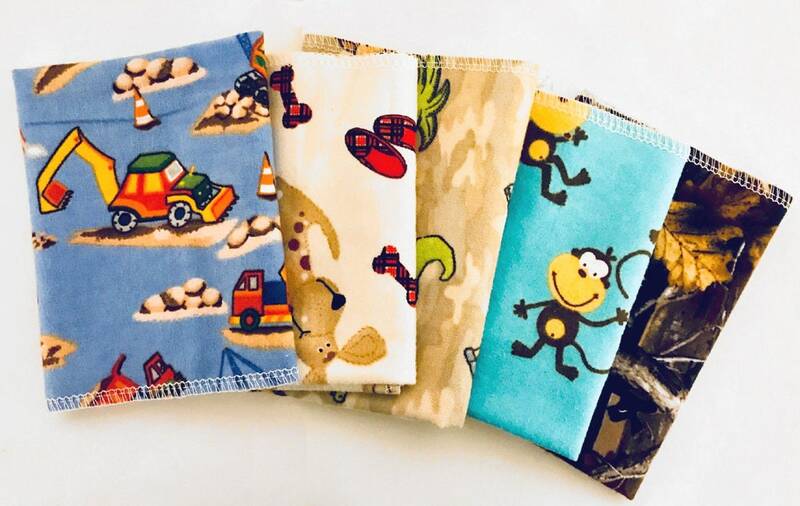 These cute lunch box size cloth napkins are perfect to pack for their lunches but also a great napkin or place mat to use at the dinner table. Kids who will love having their own fun napkins every day. Also makes fun, eco-friendly wipes! 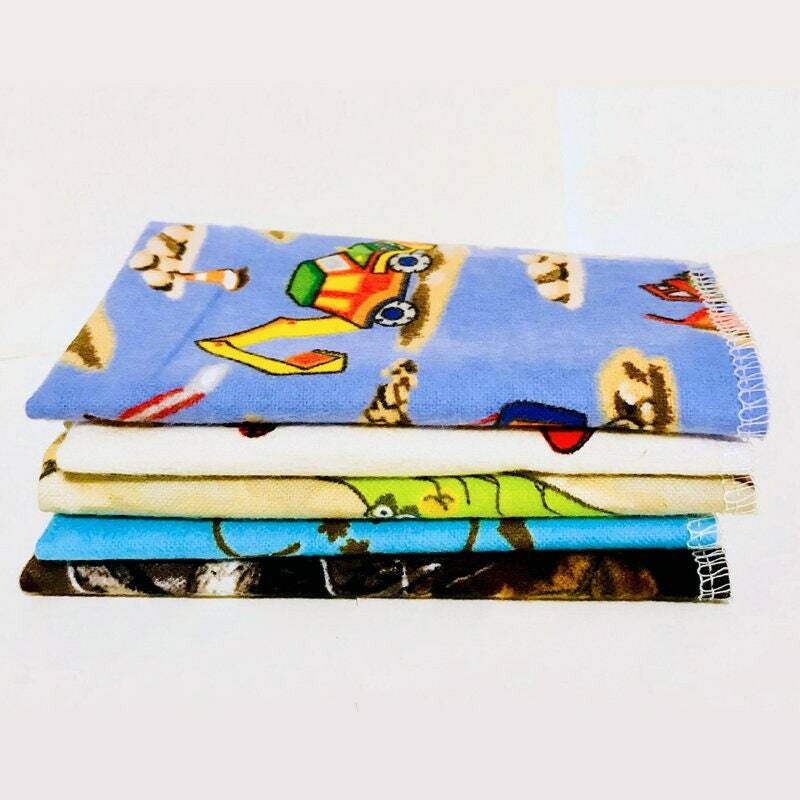 Made from super soft cotton flannel and finished with a serged edge. They measure approximately 9 x 10" and are single layer. Our flannel napkins get softer and fluffier with each wash and ready to absorb lots more. These napkins save money and time. Going paperless is fun, wallet friendly and sustainable.